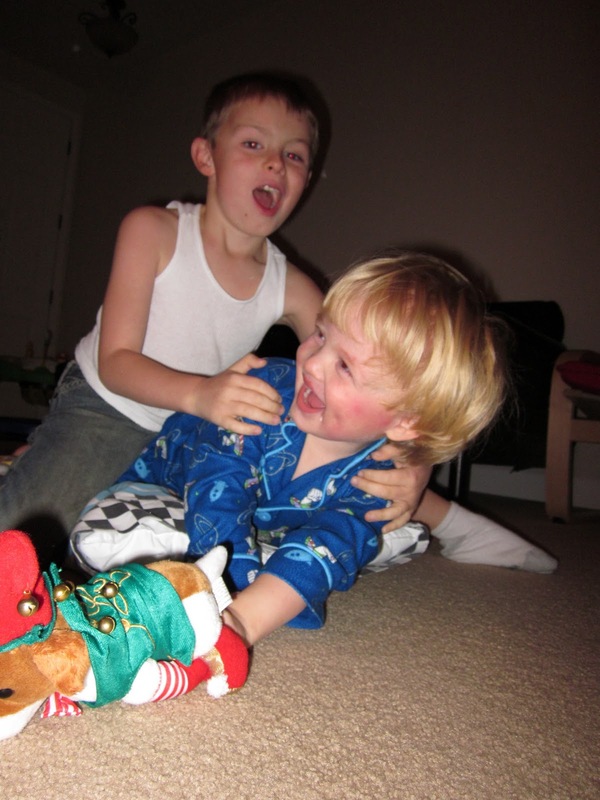 The boys just love to wrestle. Parker really loves to wrestle with the big boys. Carson and Cooper are pretty patient and let him do what he wants, that is, until Parker bites. No open eyes, but at least all 3 boys have their eyes closed. Mom, "Please, one nice picture?" Boys, "Ok". At least Parker listened. Carson and Cooper would not stop giving me crazy eyes.